Work for Sage Payment Solutions? 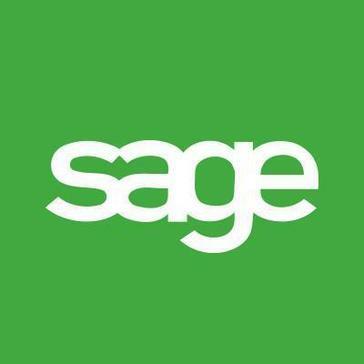 Learning about Sage Payment Solutions? "Switched to Sage Paya and couldn't be happier - Excellent customer service and easy to use"
Our practice switched all our recurring and automated patient card transactions to Sage Paya and we couldn't be more thrilled with our experience. As a merchant we had many accounts to switch over and Sage Paya was extremely helpful in teaching us how to setup their system to work for us. We have now been using them for 4 months and it is extremely simple and user friendly. However the best part is their customer service. I have never encountered such amazing and thorough customer service. They as a company go the extra 10 miles for us to make sure we get what we are looking for. Travis Padilla at Sage is top notch and he has earned a merchant for life. We would recommend setting up recurring account parameters be simpler to understand, interval is hard to understand. They helped explain it to us during setup but it could be a little clearer. We have been able to add recurring transactions of patients and easily been able to keep track of payments and declines. It is also very simple to stop a payment, void a transaction, and edit a recurring transaction. We also now can accept online payments on our website with their system. "Dumped Sage and moved on to something else"
I used Peachtree for 25 years, then it was bought by Sage. The software still had a lot of features I liked, it remained intuitive to use and I was used to using it. But because of Sage, I dropped it. Sage skyrocketed the price, had terrible customer/tech support service (worst ever), and the answer for any issue was to spend more money on software or support. What was an affordable, feature rich product, became a VERY expensive product stripped of features unless higher prices were paid. Cost for service were even worse than the cost of the software and were often bundled. They were completely unresponsive to customer issues and I would never go back. There are no business problems that can be solved using this software. It is more likely to be the cause of business problems than a solution. Difficult installation right through to poor service of the product it is not worth using or attempting to use. "Sage Payment Solutions simplifies Credit Card Processing when used with Sage Accounting solutions." When it works, it works well. Simplifies matching payments to invoices. If multiple credit card transactions are processed in a given day, the total amount is shown as a lump sum in your bank account. Combining Sage Payment Solutions with Sage 50 or other Sage accounting software simplifies the process by automatically recording and matching the payment. It doesn't always work. There are occasions where the integration doesn't work. Far less than when the product was rolled out, but it does happen. While it's not a huge issue, it can be frustrating and does require someone pay attention. Sage Payment Solutions is a great product if you are already using or plan to use Sage Accounting software. It simplifies transactions, is PCI compliant and rates are competitive. If you are not a Sage Accounting software user the argument is less compelling. Reconciling credit card transactions to invoices can be a pain. Sage Payment solutions simplifies the process by automatically applying the payment when the card is processed. It isn't perfect, and at this time it doesn't automatically integrate with web based orders, but it is the best solution we have found. "Sage Payment Solutions Simplifies Everything"
I do my credit cards in half the time! Sage makes it easy only needing a customer client number and everything is pulled up, client name, billing address all that. I will never switch to anything else unless the owner decides to drop Sage software entirely. There really isn't anything to dislike. If you use Sage Contractor 100 this is a must, it will save you so much time in the long run. Even if it was a bit more expensive it would still be worth it. Sage has the Vaults where it can save client information and my clients who are regulars love just saying use the same card and it being safely secured through sage. It also saves a lot of time. Before i would have to log on to some other program. Enter name, address, client info, credit card. Then go back and do a deposit and enter each of those. It was very time consuming. This saves so much time! There are not many things to like on this software, it is very simple and just serve it sole purpose only. This software lacks many tools which can be found on other competitors software like graphical breakdowns of payments, taxes, reimbursement, overtime hours. Only one paycheck can be accessed at a time, its hard to open two pay stubs at a single time. If you are looking for just payment solutions it can do the work, it compares to ADP payroll solutions in terms of functionality. Rather than problem-solving it is just a payment solution and is not useful for other purposes. It does not have any additional benefits other than payment services. Ease of use. Great integration with our sage AIS system. Updates are often and sometimes breaking. They need more QA. There was a very breaking issue with .net framework when using sage exchange. However the website still works flawlessly and has been very useful. We have used this software to eliminate the need to keep track of credit card sales. This software allows us to enter and bill credit card orders right inside of sage which leads to less lost or missed credit card transactions. This has also made it easier for credits to be issues for credit card orders with ease. "Sage Payment Solutions integrates well with Sage 100"
Sage Payment Solutions integrates well with Sage 100. It would be nice if we could get a daily email with the settlement report. We use Sage Payment Solutions integrated with Sage 100 for processing payments on orders taken from customers via phone, and also when customers pay on account. The ease of use and reporting and being able to pull reports to reconcile the processed amount with the funded amount to our account. The delay in response time when submitting a ticket or an issue was always a lot. Also that it was recently rebranded to be "PAYA"
ACH/E Check transactions for transactions that were processed from our online website. Their customer service team was always able to help. Its an expensive solution for customers that don't require the security. The ebizmarts integration software could be improved also. "Not so easy to set up but once done it is easier to use"
When I have needed it, customer service was very helpful. Everything just happens automatically which makes the accounting job easier. systems. Also to reprint a monthly report you need to change the month back and forth. The only negative that I came across was when I was setting it up (new business) I couldn't figure out which sage to call because they have so many different services. I finally got redirected to the right one, but it took a while. "Super easy and efficient "
Sage payment solutions are easy to use when taking payments from a client for either of our services. A quick log in and your on the page you need. The one thing I dislike and needs improvement on is that I wish they produced a VAT receipt for payments. Easy to use, I would recommend this over other services like Adyen or Zoho checkout which I have used previously. We aren't facing any business problems with Sage Payment Solutions and we have had it for around 3 years now. Benefits are taking quick and easy credit card payments online from our clients. "Sage Payment Solutions is a user-friendly product"
It's easy to use, for me as the supplier and for my clients as well. On my invoice it's a one click process for my clients to pay online using Sage Pay. The backend could be a bit more streamlined. My clients can now pay instantly on invoice by clicking a button. "Sage Payment Solutions - It just works"
Enter credit card payments and apply them in one easy processs. If a technical issue does occur, they are slow to fix the issue. Log in info is long! Integration with our invoicing software helps keep track of payments and auto applies to invoices. "Seamless integration with Sage 100"
Credit card processing in Sage 100 is not a native feature, so it must be done through a third party application. Sage Payment Solutions was officially partnered with Sage and worked well with it. "Basically any other payment solution would be better"
Not much to like about it, but apparently Sage Payment Solutions was acquired by another business so maybe it's better now? Easy to use, very user friendly. Also, easy to learn and train new users. Nothing is a major dislike. One issue that is most frustrating for a user is freezing screens. * We monitor all Sage Payment Solutions reviews to prevent fraudulent reviews and keep review quality high. We do not post reviews by company employees or direct competitors. Validated reviews require the user to submit a screenshot of the product containing their user ID, in order to verify a user is an actual user of the product. Hi there! Are you looking to implement a solution like Sage Payment Solutions?